What is the process of addiction treatment for opiate rehab? When someone has been abusing opiates for a long period of time, they should consider attending rehab and receiving addiction treatment. 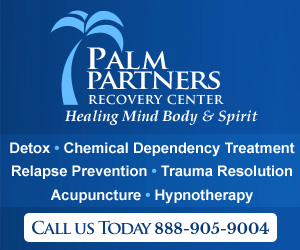 Rehab is very helpful in the opiate addiction recovery process. Detox is often a good way to begin your treatment, and you may want to attend a specific facility for it. While it can be beneficial to those who are still dependent on opiates and need to withdraw from them, it is important to remember that “medically assisted detoxification is only the first stage of addiction treatment and by itself does little to change long-term drug abuse” (NIDA). This means that after detox treatment, you’ll likely need to attend another type of treatment. These facilities provide 24-hour care and a controlled environment to patients with severe addictions. If you have a poor support system at home or your are dealing with multiple addictions or high psychiatric severity of other types (depression, bipolar disorder, etc. ), you should consider attending inpatient treatment. These facilities provide all the same treatments but patients do not stay overnight. They can attend treatment while still living their day-to-day lives. If you have a good support system and are dealing with low psychiatric severity, an outpatient facility could be right for you. Once you choose a facility, you will attend treatment for a specific amount of time, usually decided on by you and your doctor. According to the NIDA, treatment that lasts for 90 days or longer is the preferred amount of time. In opiate rehab, you will attend treatment in whatever way is most befitting of your needs and you will be taught coping skills for when you continue your recovery outside of treatment. You will be started on a treatment program with a combination of some of these treatments. The program may be changed during your recovery in order to fit your changing needs. Once you have finished your specific treatment time, you may choose to attend another program or an aftercare program such as a support group or a sober living facility. Whatever you choose, the process should be tailored specifically to you in order to help you recover in the best possible way.